Each time I hear the term “Sinhala Buddhist” uttered in today’s context I can’t help but feel an uneasy sense of foreboding tingle up my back. To me it sounds like a time-bomb waiting to explode. As a Sinhalese and a Buddhist by faith I have every right to ask “What on earth is a Sinhala Buddhist anyway? Is it a branch of the Sinhala race? Is it another nationality in Sri Lanka under the Buddhist flag?” For I’m confused! We are today nothing but a nation of dysfunctional lab-rats used by myopic and selfish politicians over the years. In their laboratory of politics they carried out their deadly political experiments by injecting us with various sociologically toxic viruses that generations of us have been carrying around and spreading, oblivious of its long term repercussions. These deadly political experiments commenced soon after we gained independence from the British and go on unabated even today! Intentionally or otherwise these virulent viruses have today contaminated our society almost in its entirety. This is a legacy passed down to us by our political forefathers which we are now blindly passing down to future generations, very much to their detriment. As a result of these virulent experiments many amongst us lab-rats are now confusing their nationality, ethnicity and religion. Our national identity has become further obscured with the virus of religious extremism infecting the gullible. Today we are not just straightforward Sri Lankans. Today we are Sinhala Buddhists, Sinhala Christians, Sinhala Other, Tamil Hindu, Tamil Christian, Tamil Other, Muslim Extremist or Muslim Other. What comes next? Take a country such as Singapore for instance with a multitude of ethnic groups far diverse than in Sri Lanka who have made the country their home. Do they identify themselves by their ethnicity and religion? No. They all call themselves Singaporeans. Do the politicians of that country favour one ethnic group over the other? No. Do they favour one religion over the other? No. To think that the iconic Lee Kuan Yew had once wished for Singapore to be like Sri Lanka! That was at a time when our country was an example to follow not what it has become now. Thank God they didn’t take after Sri Lanka. Look where they and we are now! They got it all right while we got it all wrong. I remember a time way back in school, when we didn’t know what an ethnic group was. We were all Sri Lankans in one class- Sinhalese, Tamils, Muslims, Burghers, Malays and others. I only wish it had stayed that way but politicians at the time had other ideas. One of them was segregation by ethnicity when we were too young to understand. All we knew was that we were, as young children, pulled apart and shoved into classes segregated, based on our ethnicity. We were emotionally shattered as our friends had been taken away and before long we grew apart from each other. I for one and others like myself were in a quandary. As the offspring of those who had straddled the latter colonial period and thereafter that of independence, the language we had heard and used from birth was English. Therefore our common first language was English. From there onwards still as young children we became conscious of our ethnicity. We started to feel ‘different’ from each other. We no longer regarded ourselves as just Sri Lankans. We either became Sinhalese, Tamil or Muslim. Not satisfied with only segregating us by ethnic groups, our leaders then went on to brainwash us into regarding each other with suspicion and therefore to feel threatened by the other. Today some of those of my generation, with whom I was one as a Sri Lankan, are either aspiring for a separate state, or are concealed beneath an abaya or are committing sacrilege by making a mockery of the Dhamma. So here I am today a Sri Lankan of the Sinhala ethnic group, half Southern half Kandyan, a Buddhist by faith, mistaken for a Burgher or a North Indian, with English as my first language. Therefore according to the status quo do I identify myself as a cross-country, Burgher, North Indian-looking, English-speaking, Sinhala Buddhist? No thank you. I prefer to call myself a Sri Lankan because that sits better on my conscience and is easier on the tongue. There are people I know, products of the identity confusion, who have written their ethnicity instead of their nationality in official documents. Such is their confusion! What I foresee is that eventually we will all end up having to do a Google search to find out who we really are, unless we are given a new national identity card with our ethnicity and religion included, until someone gets a brainwave and includes ‘caste’ as well. I for one believe and I’m sure many of you out there would agree that one’s ethnicity and religious faith should remain private. Religion, ethnicity or both combined cannot and should not be made to hang like the Sword of Damocles over the heads of others. Extremism in all its ugly forms was propagated and continues to be propagated by our politicians for their own selfish gains instead of squashing it in its infancy. Do they ever look at the bigger picture and foresee what is to come or don’t they care? Do they ever think of the sacred responsibility of their leadership of our country? Are they so blinded by their greed to cling on to power and the spoils that go with it at any cost? Don’t they have a conscience? Are they not patriots? Is it too much to ask of them to cast aside their selfish motives and even at this late stage unite all our citizens as Sri Lankans under one flag? 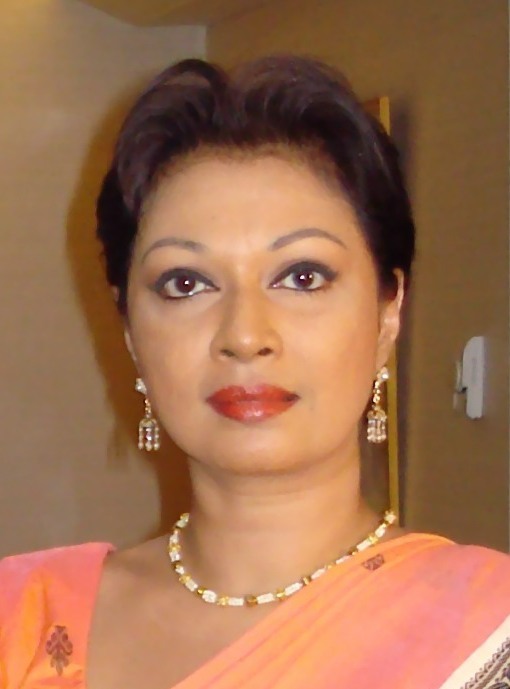 *Sharmini Serasinghe was Director Communications of the former Secretariat for Coordinating the Peace Process (SCOPP) under Secretary Generals Jayantha Dhanapala and Dr. John Gooneratne. 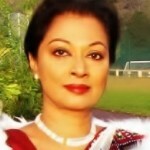 She counts over thirty years in journalism in both the print and electronic media. You cant cure stupid. And most Sri Lankans are stupid, in fact most people of any nationality are stupid. This accounts for the popularity of religions. This is Sri Lankas fate, just be happy we are not so bad off as Afghanistan. My advise is for Sri Lankans is to just enjoy the brief period of relative peace we are now experiencing. Go out and enjoy our beautiful country. The intelligent few are a minority. There is not much we can do. Live in the present and enjoy the moment. There are things over which we have no control of, and those things are going to happen whether we like it or not. I salute you, Sir, who goes as Retired Old Man. It was that great philosopher President S. Radhakrishnan of India who, dwelling on this mystery of life, said what we fight for and destroy each other in this earthly journey is no more than a “fleeting moment” in history. It is peaceful religious ways of life that may contain our salvation – be it Hinduism, Judaism, Buddhism, Christianity or Islam. That does not in anyway mean a learned agnost/atheist cannot be a model citizen in today’s enlightered world. I was taught to believe everyone, even the humblest, can gain happiness if he learns to live within his means. I have seen this in practise. It is craving and ego that ruins the spirit. Happiness is not the monopoly of the rich. Neither is sorrow the entire lot of the poor. As that great religion Christianity teaches us “everyone has to carry the Cross” at some time of his/her life. Brilliant article. Hit the nail on the head. Wake up Sri Lankan’s….. We ARE all Sri Lankans, that is until the dastardly politicians and some pseudo monks whip up hatred supported by a few. they who will have to pay a price in the next world.